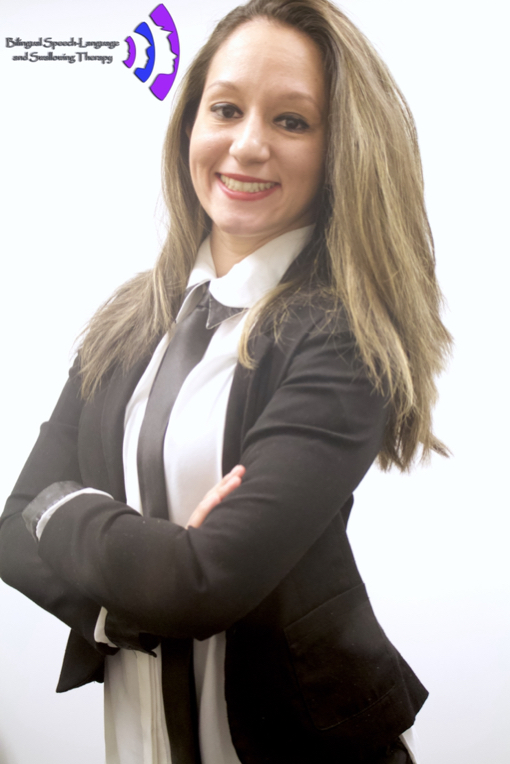 Our next guest writer is Nathalia from Bilingual Speech-Language and Swallowing Therapy. Her niche in this field is so fascinating and absolutely incredible. Teach us alllll the things, Nathalia!! My name is Nathalia and I am a Bilingual Speech-Language Pathologist who has been practicing for 4 years. I went to graduate school at Nova Southeastern University. Go Sharks! I first learned about speech language pathology through my mom, a Bilingual Special Education teacher. Whenever catholic schools were closed I would spend the day at her school, and follow the SLP to watch what she and the children were doing. As an eight year old it looked like so much, and as a thirty year old it’s equally as fun! From then on I became involved in as much as I could to learn more about the field, such as volunteering at special needs summer camps. Little by little I started to love working with children; especially bilingual children/families. But it wasn’t until my first class in undergrad, Intro to Communication Sciences and Disorders that I completely and utterly fell in love with the field! How could I not love it? I would learn to give the voiceless a voice. Since I started practicing I have poured all of my time and energy into feeding therapy among the pediatric population. As someone who is foodie, I enjoy every single bite of food. How could I not let a little one enjoy this simple luxury? BUT, that isn’t my only love in the field: Transgender Voice Modification. How often do you say to yourself “Ugh, I can’t stand and hate how my voice sounds”? It’s natural. We tend to not like the sound of our own voices, but at least our voices reflect who we are as individuals. It does not make us feel out of place. As a member of the LGBTQ community and as a Latina, I have “felt out” of place in society; I have just never felt out of place from my own body. The simple sound of your voice is such an integral part of who we are; yet it is taken for granted by most. The most minuscule change can transform a whole person’s world, lifestyle, and overall outlook on life. And, honestly, that is why I went into the world of Speech Language Pathology. 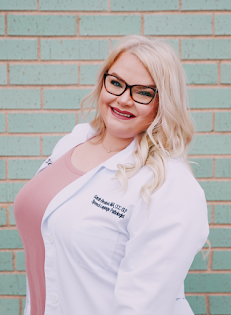 The LGBTQ is a community, Latinas are a community, SLP is a community, and through each encounter and journey I have built a relationship with another profession and discipline to increase my community in the healthcare world. Transgender Voice Modification is not a “cookie cutter” therapy regimen where the patient is in and out after X amount of sessions. It’s establishing a rapport with the individual and working closely with other professionals to make sure the needs of that individual person are met in a holistic approach. Whole Body. Whole Person. Among many disciplines I collaborate with on a daily basis, most recently I have partnered with Northwell Health The Gerald J. Friedman Transgender Health & Welless Program, Denise Cruz at Marymount Manhattan College (MMC), and Nakita Charles, a holistic life/behavior coach (who is also a beautiful human who continues to help me through life). 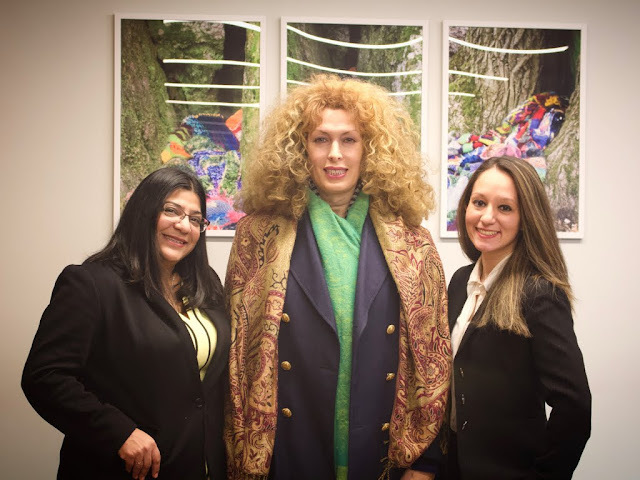 At The Gerald Friedman Transgender Institute, professionals such as endocrinologists and otolaryngologists offer comprehensive care in a safe environment for transgender and gender nonconforming individuals in New York City. 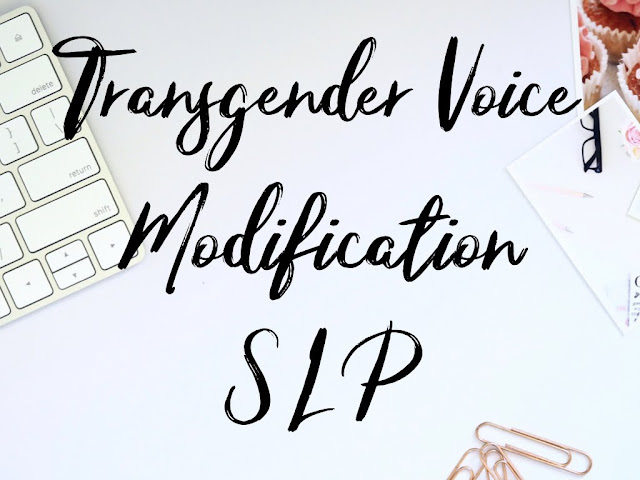 When providing transgender voice modification learning about the person’s transitioning process and screening for potential vocal pathology is a crucial part of the program. Remember, whole body; whole person. Denise Cruz, a voice specialist (my externship supervisor, and overall just a great friend), and Clinic Director at MMC offers a Support Communication Group for the individuals receiving Transgender Voice Modification. What is the purpose of learning these techniques if you cannot practice them among a group of people with the same feelings and thoughts? Before taking these tools to the outside world let’s practice them in a safe environment to build confidence. And what better way to do that than none other Nakita Charles, an LGTBQ member also who can relate with the community in giving them the guidance and support they need to accomplish their goals. The more disciplines I can collaborate with, the stronger my clinical skills become and the deeper my advocacy grows. You always need someone in your corner to fight for and with you. Prior to starting this, I was given a few questions to prompt the writing and within that I was given two questions to answer: 1. What is the greatest reward for you in your job? 2. What has been on of your favorite experience as an SLP? Truthfully I cannot answer that because there have been far more rewards and favorites than I could ever think of. Whether I am working with a pediatric patient, a geriatric patient in a SNF, or providing voice modification, the greatest prize is knowing I made a difference in someone’s life; even if it is the most microscopic thing. I will take every single trial and error to get that reward. 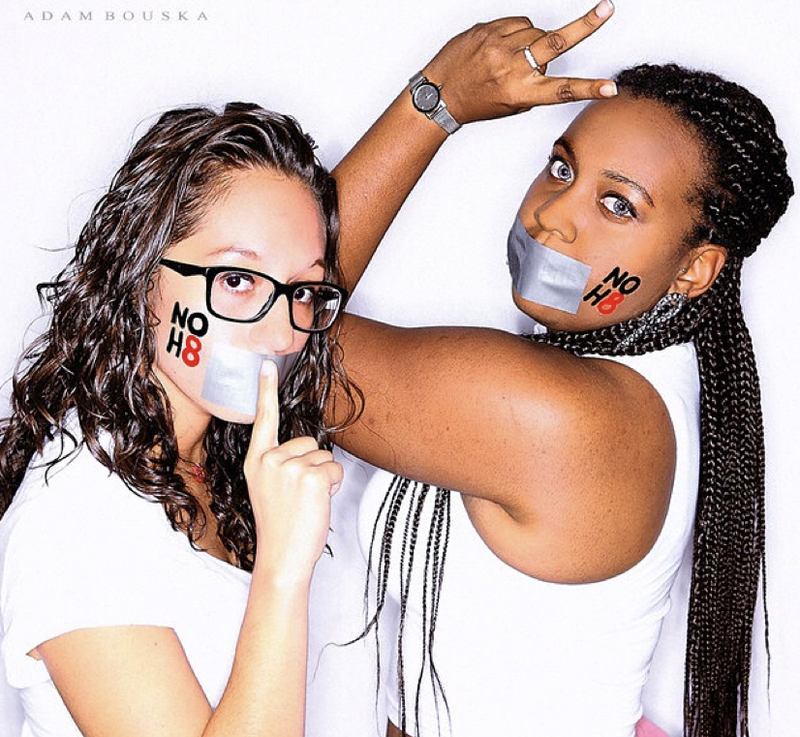 Don't be afraid to show your true colors! Thank you so much for sharing your insanely cool area of this field! 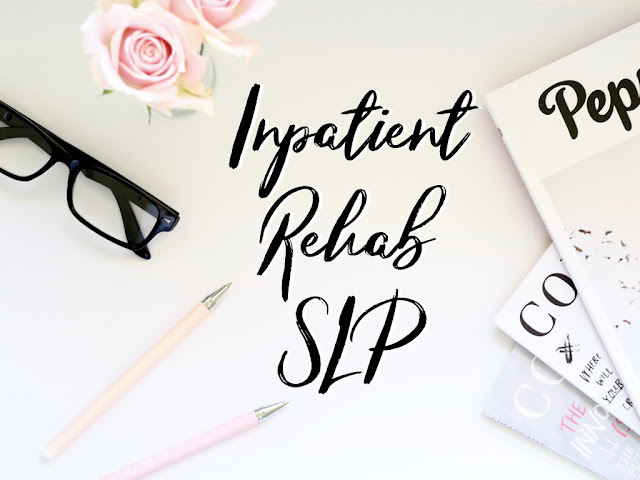 One of my favorite things about being a part of the SLP community is all of the incredible roles that we fill, and yours is most definitely one of them! To learn more or keep up with Nathalia, find her on Instagram!